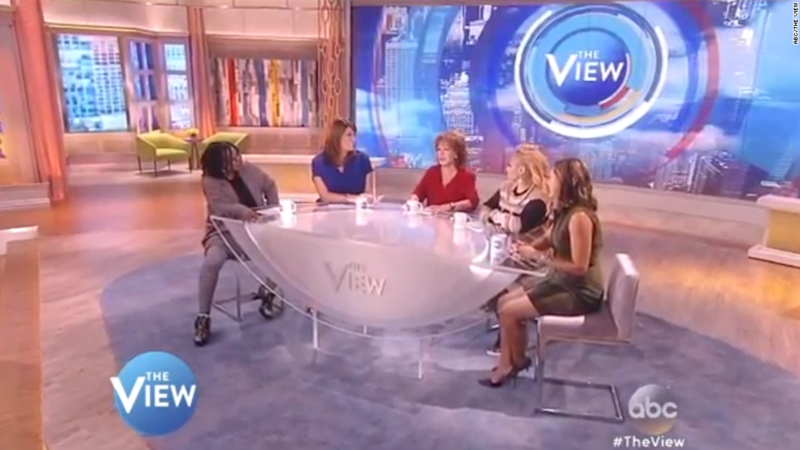 The longtime co-host of "The View" took to Twitter Wednesday morning to slam "The Daily Mail." Goldberg called out the UK publication for its Tuesday story that said she was responsible for cutting back the days that her fellow co-host and "Good Morning America Weekend" co-anchor, Paula Faris appears on the show. "Contrary to what u might read in the I do not run ABC," Goldberg tweeted. "Nor do I own or produce, not involved in hiring 4 the View so don't send ur resumes." She followed up that tweet with, "I'm not responsible 4 firing or moving people around or negotiating my coworkers contracts. I LIKE having a gig and as much as I'd like to." "Also daily mail knowing that people talk A lot do you honestly think I would talk or act in such a way that would give u ANY ability to know," adding. "Anything I think?? No daily mail I wouldn't, so if your going to continue to accuse me of doing this kind of thing could you make something ... Someone my age would do. For goodness sake the only botch fest is the one in talks minds.no fight here just clearing up an untruth." The article cited a source that claimed Faris was sure that Goldberg had pressured ABC executives to phase her out. "'[Faris] is adamant that the network bowed to pressure from Whoopi to get rid of [her] as part of her negotiations to return for Season 20." The "insider" goes on to claim that the meeting with executives took place in Faris' dressing room and that people passing by could hear her saying, "I know this is Whoopi's doing." There's been a lot of speculation as to who will join the show for season 20 this fall. Some of the names that come up include Fox News contributor Jedediah Bila, ABC's "Good Morning America Weekend" co-anchor Sara Haines and ABC's Senior legal analyst Sunny Hostin. Goldberg, who joined "The View" in 2007, finalized her contract negotiations just last month to stay on as the show's moderator. ABC wasn't immediately available for comment.